Combine all ingredients except sauce in large bowl and mix well. Shape into 1-inch balls. Cover and refrigerate or freeze until ready to bake. (unthaw before baking). Preheat oven to 350^. Set balls on ungreased baking sheet and bake until golden brown on the bottom, about 10 - 15 minuted. Serve with mustard sauce. Combine mustad and vinegar in small bowl. Cover and let stand at room temp 4 hours. Mix sugar and egg yolk in small saucepan. Add mustard-vinegar mixture and cook over low heat, stirring until slightly thickened. Cover and chill. 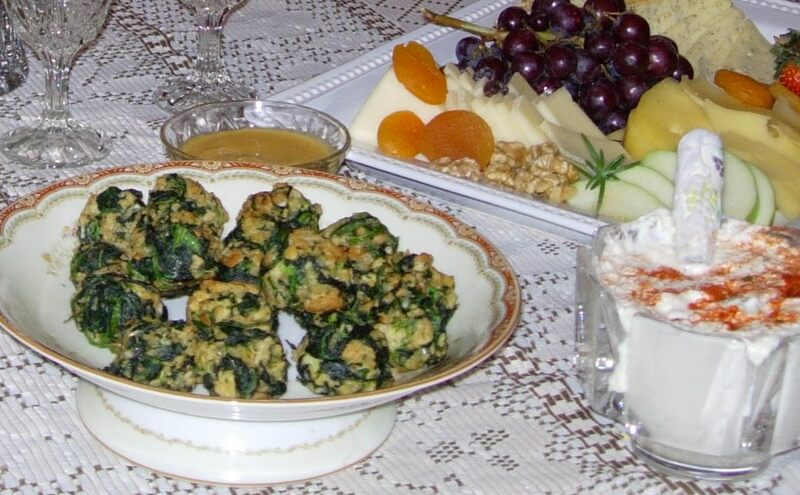 Serve at room temperature with spinach balls.